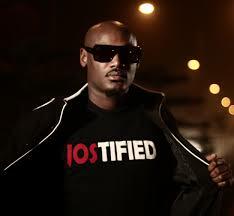 Excitement is at a very high level in Makurdi, Benue State capital, as Idoma-born music icon, Innocent Idibia, a.k.a. 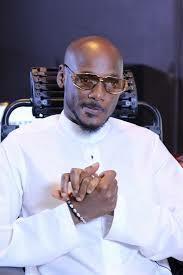 Tuface, prepares to lead five other top artistes to perform at the city’s edition of Glo Mega Music Nationwide Tour billed for Saturday. The show will be held at the Royal Choice Inn, Makurdi, and it would feature have six music stars performing, with four Nollywood icons in attendance as show anchors and celebrity guests. Globacom, in a statement issued from its head office in Lagos on Friday, said that Tuface would be leading stars such as Timaya, Phyno, Korede Bello, Di’Ja and Katch to entertain guests at the show. According to the statement, two Nollywood actresses, Juliet Ibrahim and Mercy Johnson Okojie would anchor the show, while Nollywood legend, Kanayo O. Kanayo (KOK), would make celebrity guest appearance alongside his Kannywood counterpart, Sani Danja. DJ Tops will man the juke box to supply danceable tunes. “Makurdi show is going to be of the same high standards as those of the other 20 locations where the Glo Mega Music Nationwide Tour has been held. All plans have been put in place to make the evening a memorable one for our teeming subscribers in Makurdi and the adjoining towns and villages who will be coming to be part of the fun”, the statement said. The company assured that, “the Glo Mega Music Nationwide Tour has in the last five months raised the bar in the nation’s entertainment industry and there is no dropping the ball as far as the Makurdi show is concerned. It is going to be a spectacular experience for the audience, especially when their own son, Tuface, will be leading the pack”. On his part, Tuface said: “I feel nostalgic and at the same time excited going back to base in Makurdi to entertain my people. Nothing dey happen nao! You know there is no place like home and I trust everybody on this tour to give it to the people hot”.